At the end of Ernest Hemingway’s novel “The Sun Also Rises,” war veteran Jake Barnes and the woman who beguiles him, Brett Ashley, taxi up a hill in Madrid. Students in an English literature course at University of Maryland University College (UMUC) trek up that same Madrid hill and, like Jake and Brett, they also feast on roast suckling pig washed down with Rioja Alta wine. By visiting places immortalized in Hemingway’s novel, the students demonstrate how UMUC’s Field Study Program in Europe takes traditional coursework onto the streets. Literally. 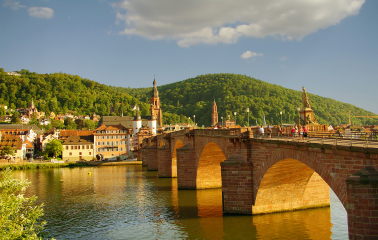 “Our Field Study Program is a long tradition at UMUC Europe. We go to one major European location and spend a week there focused on a single topic,” said John Nolan, the collegiate professor of history who serves as the program’s faculty coordinator. By “single topic” he means a broad area such as history, which can encompass geopolitical history, art history, architecture or even literature, sometimes across centuries. Each morning on location typically starts with a lecture—in a rented classroom, in a hotel, in a coffee shop. Then students head to the streets for eight or more hours of exploration with discussions and conversations along the way led by their professors, local experts or museum guides.. 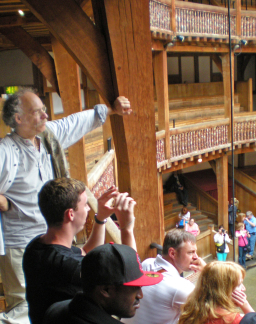 Depending on the course, students may walk past the iconic Brandenburg Gate in Berlin, marvel at Italian painter Fra Angelico’s frescoes inside San Marco monastery in Florence or roam backstage at London’s Globe Theatre. Amanda Cordero, a former Navy corpsman married to a service member at Naval Station Rota in Spain, is working on a bachelor’s degree in history. She has taken four field study courses: art history in Venice; English literature in Dublin; and two German history courses—one each in Berlin and Heidelberg. This spring, she is taking her fifth course, literature study in Scotland. “These are great opportunities—and most people don’t know about them,” Cordero said. Every course is different. On the Dublin course, Cordero heard lectures aboard tour buses as the class traveled around the country—and even into Northern Ireland. 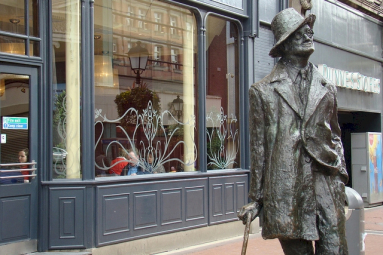 “Each of us had picked a poet or author and we learned about them while seeing an Irish landscape go by,” said Cordero, who focused on James Joyce. Nolan said some instructors “put together what is really a unique experience.” The Hemingway course in Spain is a good example. Hemingway lived in hotels, ate in restaurants, wrote in bars and cafes, and crossed paths with a who’s who of art and literature. Joseph Naas, an English literature professor, designed the course to look beyond the novels to examine how Spain influenced the writer’s work. One of Hemingway’s favorite Madrid eateries. On the first day, his students met at a hotel near Madrid’s Plaza Mayor and Plaza Sol, two landmarks in “The Sun Also Rises.” They saw the beer hall where the author drank. 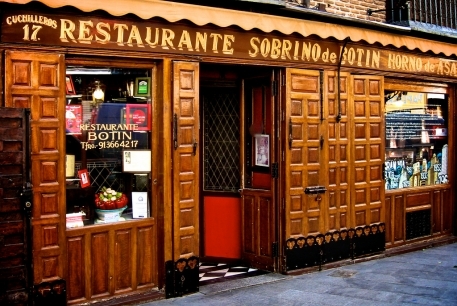 And when they ate at Botin, a restaurant frequented by the author—and the scene of that roast suckling dinner—they sat at Hemingway’s favorite table under a portrait of the writer. At Reina Sofia, Spain’s national art museum, they studied Guernica, the anti-war painting by Pablo Picasso, a friend of Hemingway, as well as other art that influenced the writer. “Hemingway didn’t tell readers when a character was feeling melancholy, he gave them the sensory experiences to feel melancholy,” Naas said. 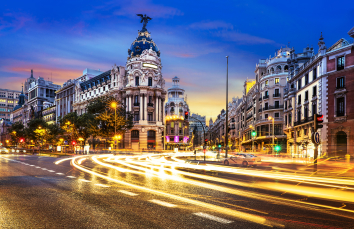 “I wanted my students to experience Madrid through the senses. What did they smell and what did they hear? “The students fell in love with Spain. Some had never read Hemingway before this course, but they loved him,” he added. Like Cordero, Shauna Brink had high praise for the three field study courses she took. Brink is a military spouse at the Ramstein Air Base in Germany, and her first two field studies counted toward a German language certificate. The third focused on Scottish writers and poets. “There is so much that is wonderful about these trips,” said Brink, who graduated last May with a bachelor’s degree in social work and now is enrolled in an accelerated master’s program in the same field. 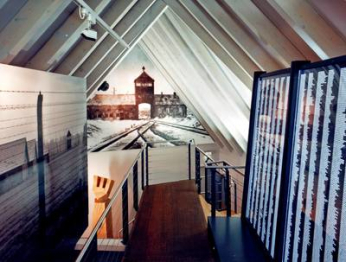 Her most memorable moment of all the trips was in Heidelberg at the German Sinti and Roma Cultural Center, which traces the history of the people commonly known as gypsies. The students had a 90-minute question-and-answer session with a Roma man. The course instructor, German and history professor Susan May, said the center is also her favorite stop. For service members, the Berlin course can be especially meaningful. “Many of them have never given any thought to the fact that they are stationed in Europe because of what happened in Berlin,” May said, referring to World War II and the Cold War. The upper-level three-credit field study courses generally enroll 15 to 20 students who lodge as a group in hotels, hostels, university dormitories or even monasteries. They are on their own in the evenings. Travel unfolds on public transit, long-distance trains and, once, rented bicycles. “This is such a great opportunity to bring more depth and breadth and diversity into our students’ education,” Nolan said. For more information visit the UMUC Europe Field Study Program page at europe.umuc.edu.